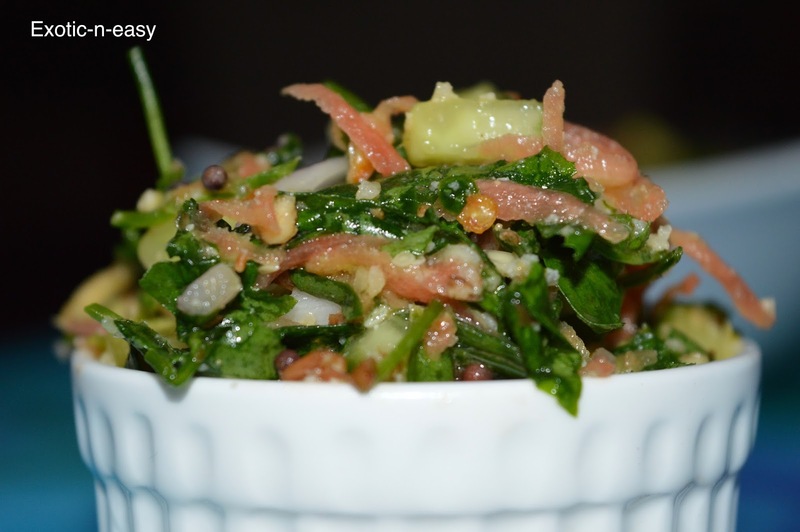 Another healthy and quick salad. 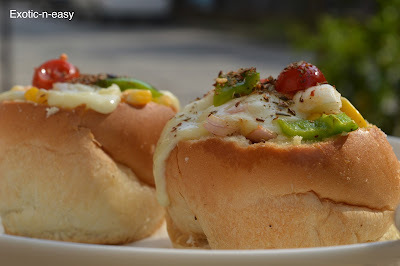 One of my South Indian friend she shared this recipe with me. It is a traditional salad and traditionally know as " Methi Ki Pachadi". Wash methi leaves nicely and chop it finely. Coarsely grind the roasted peanuts. In a bowl add chopped methi leaves, grated carrot, chopped onion, chopped cucumber, Coarsely ground roasted peanut, lemon juice, Lemon zest,sugar and salt . For tadaka heat the oil in small kadai add mustard seeds, when it splutter add asafoetida and chopped chilly. Pour this tadaka on the salad mixture and mix it. 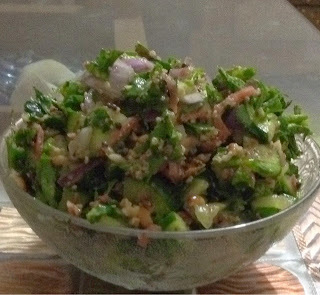 Fresh Methi and cucumber salad is ready.